Managing Partner of Caamaño, Concheiro & Seoane, Jaime is also the lawyer responsible for Private Law in the firm, specialising in Commercial and Civil Law with extensive experience in corporate, insolvency and litigation areas. Highlighting his achievements in the resolution of disputes with financial institutions for the placement of hybrid banking products, and has obtained the most important judgment at the national level in this area. He was president of the Asociacion Euroforo Empresarial. 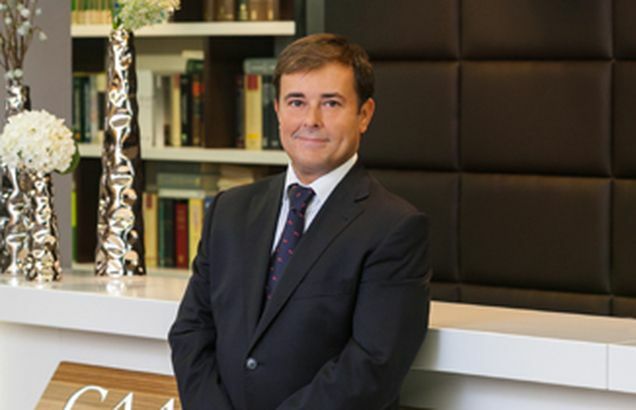 Before Caamaño, Concheiro & Seoane was founded, he worked at the British firm Clifford Chance. After graduating in Law from the Universidad Complutense (Madrid), he prepared for the Spanish Stock Broker exams and obtained an Executive Masters in Town Planning from the Centro de Estudios Garrigues. He has participated as speaker in a number of seminars on the responsibilities of company directors, corporate litigation and corporate transactions, as well as on insolvency law. He is also a teacher on the Masters in Business Law Practice from the University of A Coruña.